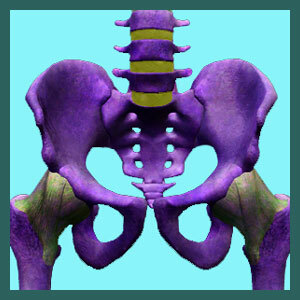 Welcome to our free web community, Sacroiliac-Cure.Com. 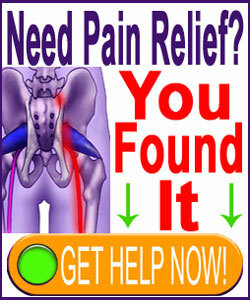 We are The Sacroiliac Pain Authority for good reason, being created by The Cure Back Pain Network. If you do not know who we are, please read our editorial board page to meet us and understand why we offer something so unique in the world of online health information. Sacroiliac pain syndromes can be puzzling and difficult to accurately diagnose. Many are mistakenly identified, leading patients on fruitless quests for relief using contraindicated treatments. We recognized many problems with the way SI joint pain was being managed for a very long time and have written critical essays on the subject for more than 12 years. Our proprietary research and extensive clinical expertise has honed our ability to differentiate sacroiliac joint issues from other commonly theorized conditions including piriformis pain, lower back pain, muscular buttocks pain and hip pain. While our focus on this website is exclusively on the SI joint, we have many other websites that factor the sacroiliac into the mix of a larger topical subject matter, including all the web resources below. Cure-Back-Pain.Org is The Back Pain Authority. We were the first and we are still the best. Our flagship website contains the largest database of professionally-written essays on back pain ever published and is still growing by leaps and bounds. Herniated-Disc-Pain.Org dispels the myths of herniated discs and reinforces the facts, including detailed coverage of degenerative disc disease. Sciatica-Pain.Org is the premier web resource for everything related to the sciatic nerve and the various painful sciatica manifestations that can befall this largest of all anatomical nerves. Spinal-Stenosis-Treatment.Org explores both central and neuroforaminal spinal stenosis, helping patients to better understand their diagnosis and find the most effective treatment options. Neck-Pain-Treatment.Org focuses on chronic neck pain symptoms in the cervical spine and surrounding muscular tissues of the neck. Low-Back-Pain.Org is an intimate look at lower back pain and how to stop it from ruining your life. Scoliosis-Pain.Com provides a fact-based look at one of the most misunderstood of all spinal abnormalities: scoliosis. Spondylolisthesis-Pain.Com provides a comprehensive education about the causes, symptoms and treatments for spondylolisthesis. Facet-Joint-Pain.Com is The Facet Joint Authority, featuring sections covering every conceivable facet joint pain topic. Piriformis-Pain.Com is The Piriformis Authority and is the most complete online source of information about piriformis pain syndrome. The Chronic Pain Coach provides professional guidance on managing pain constructively and living a better life. The Cure Back Pain Network – What Makes Us Different? We are not a financially-motivated organization. We are not out to sell you a product or service. We are a patient education and advocacy group, as well as a community that actively protects consumers against the many scams perpetrated against healthcare and health product purchasers. We want you to learn literally everything that we know in order to better serve your recovery needs and protect yourself against opportunistic care providers and soulless medical companies, all of which thrive economically on your pain. We will never abandon you or betray your trust. We will never market to you in the guise of new or research and will absolutely never allow advertisers to have any say in our editorial opinion. We will always be objective, truthful and unbiased in our coverage of products and treatments. We do not mind that we might offend many. We are not here to make friends with those who victimize suffering people. Instead, we are here to educate, protect and befriend those who need it most: our core audience of loyal readers. Need to contact us? We can be reached easily on any of our social media outlets.